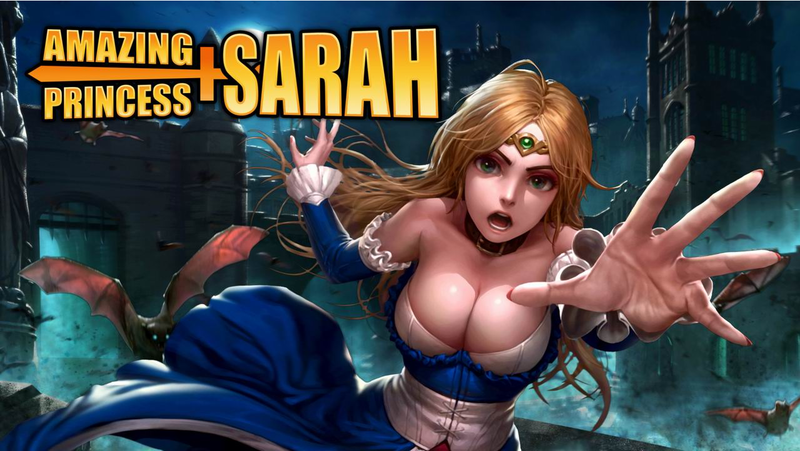 Amazing Princess Sarah, an indie game developed by Haruneko and previously only available on the Xbox 360, is now available through Steam! The platformer was originally released to the Xbox Marketplace on July 9th of this year, and was originally met with the skepticism that often accompanies indie games. The cover art for this game wasn’t descriptive of the game after all, and we’ve had plenty of releases of 2D sidescrolling platformers this year, after all (see Guacamelee and Shovel Knight, for example). Despite all that, the game has gotten some solid reviews! The game even had fairly strong support on Steam; it only took 10 days for Amazing Princess Sarah to become Greenlit! Amazing Princess Sarah is a 2D exploration and combat platformer. Most people know what that means; this is a Metroidvania game. Normally, I’m hesitant to put any game into that category (I take my Metroid and Castlevania games seriously, and not many games actually give me the same feeling that those franchises give me), but it’s hard not to see the Castlevania inspired gameplay in this game in some of the movement, combat, and smacking torches to get items! In fact, much of the background art, and many of the monsters have a style reminiscent of Castlevania (the table and chairs seen in the video below, in particular, gave me that feeling. I know it’s strange.). At any rate, if you like Metroidvania games, be sure to check out Amazing Princess Sarah!